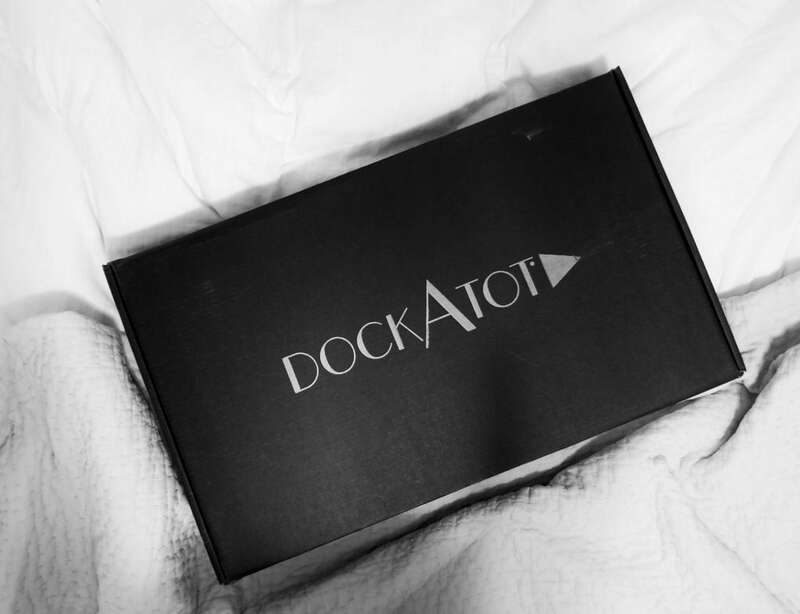 In full disclosure, Dockatot did send us our docks, but I’m in no way required to say anything good about them. That’s always my deal – I adore trying out new gear, but not if I have to lie about it. 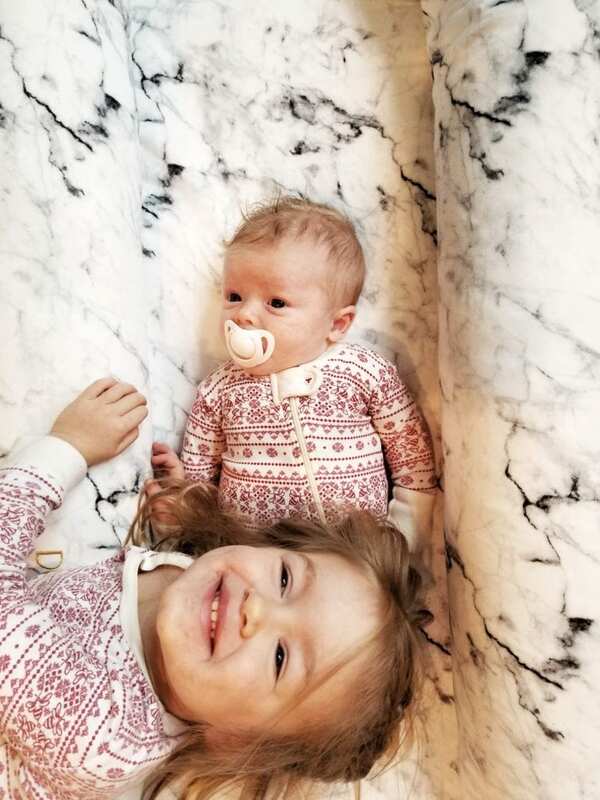 When I had Beck I didn’t even know these things existed, and this go-around when I was pregnant I saw them popping up EVERYWHERE on the internet, lists of baby must-haves, images of well-rested parents, you know. You may remember that Beck nursed every 90 minutes without almost any exception for the first five months of her life. Oh, you’ve forgotten that? I haven’t. So when some new cool EVERYONE’S DOING IT product came across my radar that makes babies sleep? I wanted one. I was a little wary because some other magic products didn’t work for Beck at all, but I’m happy to say that 1. this is a great product and 2. Will sleeps really well in it. A few things I like about this slash had questions about: The sides are REALLY firm, in a good way. 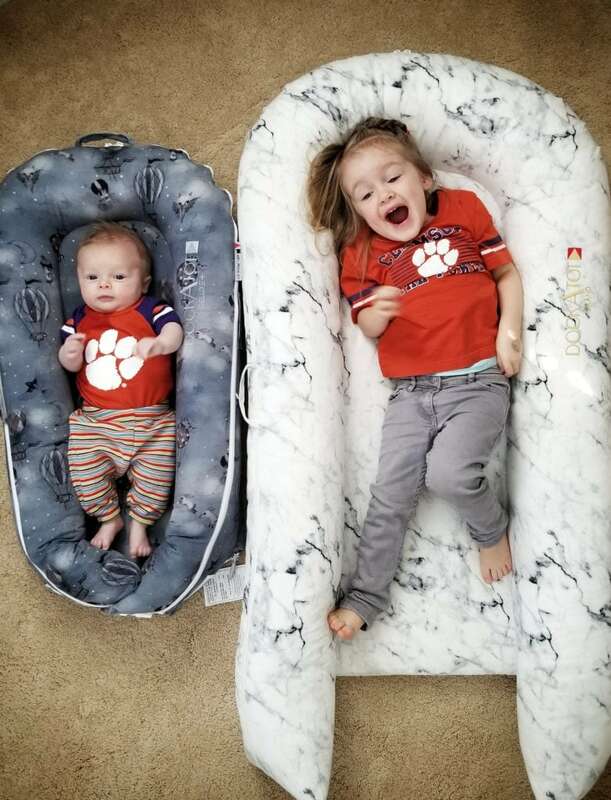 I was worried that they would be too mushy and not serve as a great barrier between baby and the rest of the world, but they’re super firm and show no signs of diminishing in sturdiness after a ton of use. We carry this around all over the house for Will to nap in or just hang out on while we do other things, and it’s one of the few places that he’s hardly ever fussy in. I think it’s because he can turn his head and kind of nuzzle to the edges and it doesn’t feel so Wide Open Flat Space Scary like a crib does at this point. For portability purposes, it’s really lightweight, which I love. The safety of the dock has been tested a ton, read about that here – it’s always a question I have with sleeping items. 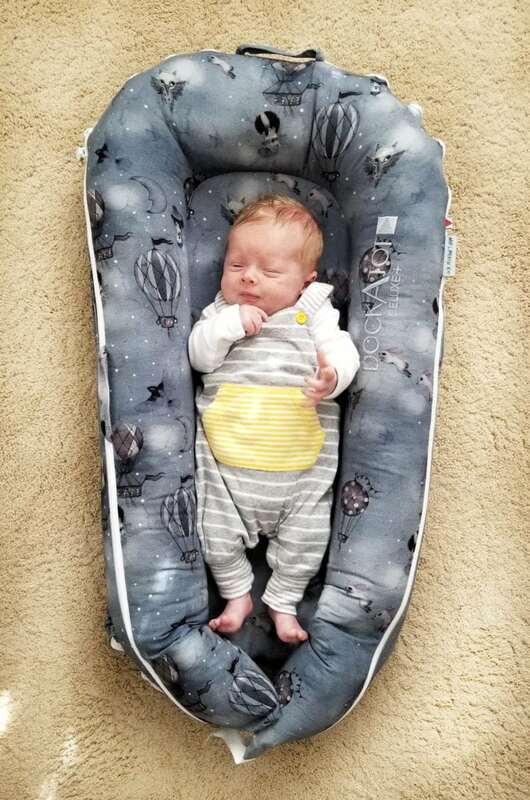 We’ve traveled with this and it’s really convenient/light compared to hauling around a bassinet or Pack N Play which we’ll have to do when he’s older. 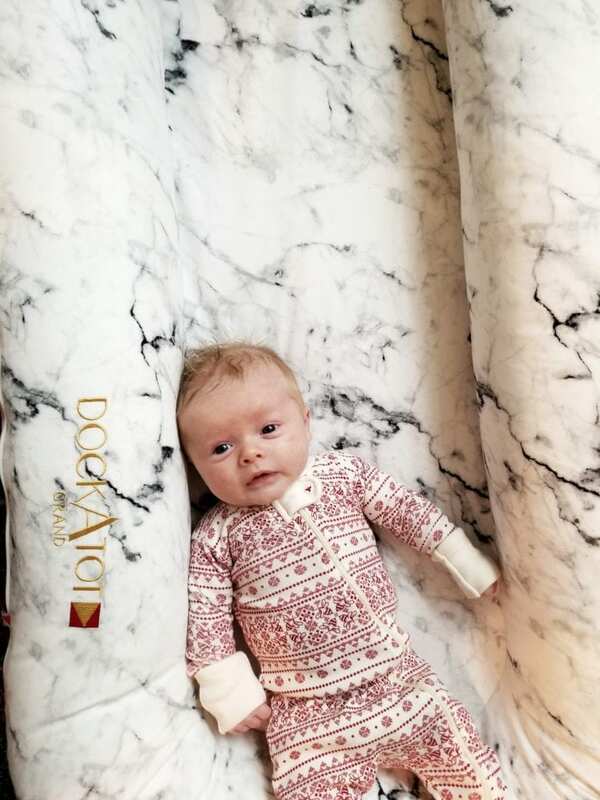 As for Beck, she’s fully obsessed with her Dockatot (these pictures have Will in our larger one; we only did that for these pictures because Beck asked if he could share and we do not say no to sharing when it’s supervised by eleven adults). When we first got Will’s dock she sat it it all the time and I always felt so bad telling her to get out of it, so I was super pumped when she got her own. She loves cuddling up in it to read or play with her babies, and one time she fell asleep in it nowhere close to nap time, the literal only time she has ever done that. 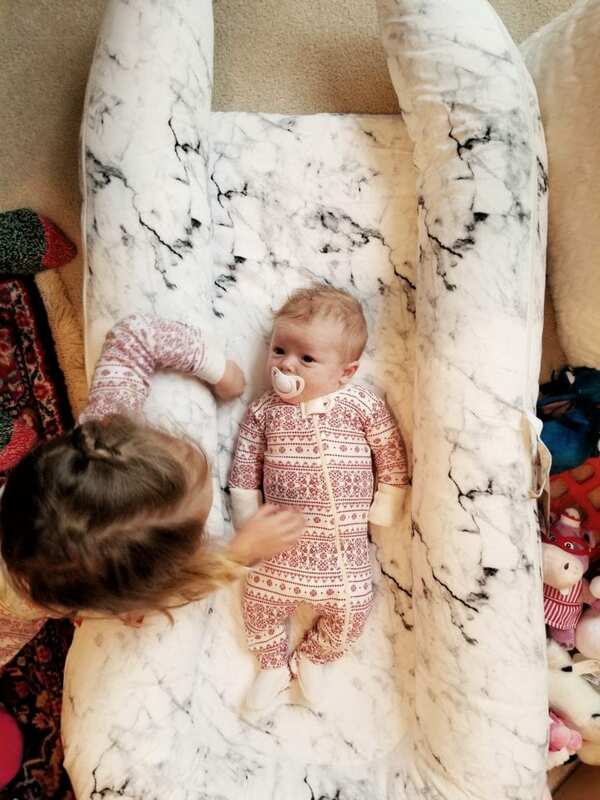 The big dock (Grand) is also a good tool for transitioning bigger babies from crib to bed, and if we had had this when that was happening I can see Beck loving it in her big girl bed. We got it after that move, though, so Beck uses hers for lounging and quiet time. 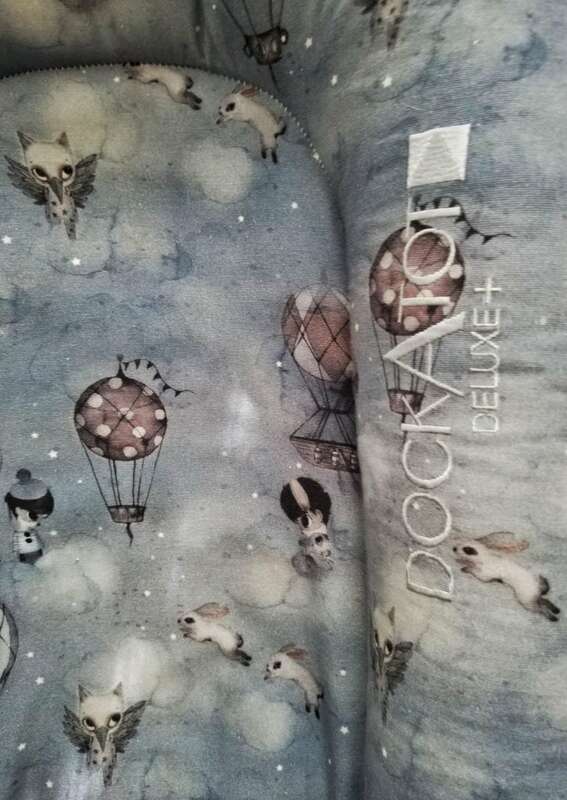 I won’t lie – Dockatot does not make a cheap product. HOWEVER, there are some things that I think are well worth spending on, and this is one of them. Is it a lifesaver/necessary like, say, a car seat? I mean, no. But, for us, I’m really glad we have it for the portability, safety, and comfort for both kids. I love it as a baby gift for a group to go in on, a higher-end product that maybe someone wouldn’t buy for themselves but would love to have. They also have sales and clearance on discontinued colors and styles, and trust me when I say that your baby may vomit on this no matter which cute pattern they have. It’s science.